Anyang GEMCO Energy Machinery Co., Ltd (subsidiary of ABC Machinery) is a professional manufacture and supplier of briquetting machines in China. 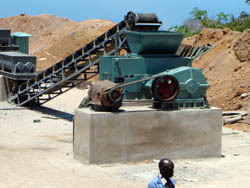 Our briquette press machines are applicable for making charcoal, coal, and mine powder briquettes. 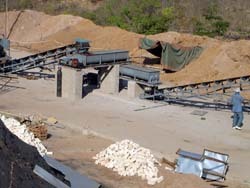 We sell roller briquetting press, screw briquetting presses and complete briquetting line. Established in 1992, Anyang GEMCO Energy Machinery Co., Ltd (subsidiary of ABC Machinery) deals primarily in manufacturing and exporting of complete briquette machines. Importing and exporting of various mechanical products and engaging in economic and technical cooperation with clients. Color and black metallic mine powder: Iron scale, iron sludge, Precipitator dust, Iron concentrate, Raw material powder, Manganese ore fines, Silicomanganese alloy. 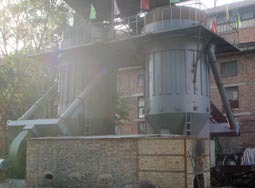 etc..
We design and manufacture 2-30T/H complete briquetting machine, roller briquetting machine, Dry Powder Briquetting Press, screw briquetting machine, Shisha charcoal briquette press, coal ball machine and metal scrap briquette press machine. 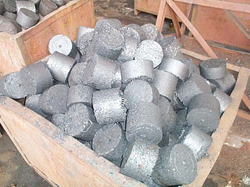 The finished l briquettes made by our machines are high density, perfectly shaped and have a good appearance. 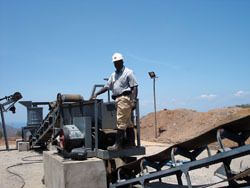 Briquetting is the transformation of a powdery or granular material into a larger more convenient size solid product. This is accomplished by compacting the material with a roller press, sometimes in the presence of a binding material. 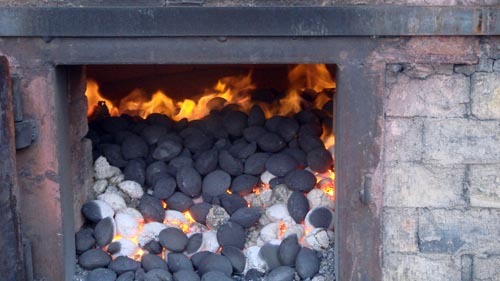 The briquettes can be produced with high or low pressure and can undergo mechanical or thermal treatment according to the characteristics of the processed material. The binder is used and the desired end product is complete. Briquetting is the only way to change a powdery material into a briquette which is suitable for transporting and is energy-saving.